Author’s presentation at book launch meeting for ‘Facing the Anthropocene: Fossil Capitalism and the Crisis of the Earth System,’ at the Socialism for the 21st Century Conference in Sydney, Australia, May 13, 2013. 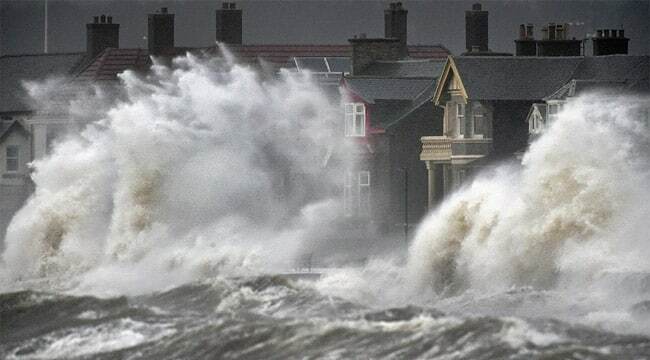 Climate change and extreme weather events are not devastating a random selection of human beings from all walks of life. There are no billionaires among the dead, no corporate executives living in shelters, no stockbrokers watching their children die of malnutrition. 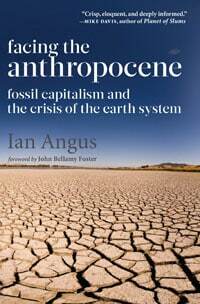 C&C will be taking a break while Ian Angus speaks at ecosocialist meetings in seven Australian cities, and launches his new book at the Socialism for the 21st Century conference in Sydney. Experts agree: Changes since 1950 rival those that ended the last ice age. The Holocene is over, and the Anthropocene has begun. Anthropocene: What’s in a name? Objections to the word ‘Anthropocene’ are misguided. If greenhouse gas emissions aren’t stopped soon, unprecedented and deadly heat waves will become the new normal in most of the world. When did the Anthropocene begin, and why does it matter? A temperature increase of less than one degree has already disrupted the global climate system, and this is only the beginning. Will the Anthropocene bring a totally new climate regime? Will climate chaos reign in the Anthropocene? Does Anthropocene science blame all humanity? Ian Angus says the charge that Anthropocene scholars blame all of humanity for the actions of a small minority simply doesn’t hold water. What strategy for an ecological ‘great transition’? John Bellamy Foster reviews Johan Rockström’s call for a ‘Great Transition’ that combines the goal of prosperity for all with a stable and resilient planet, based on nine critical planetary boundaries. Forget the UN: South African activist says only an alliance from below, linking unions and social justice movements, can stop capital from destroying planetary life. Long before today’s scientists accepted the idea, socialist-ecologist Barry Commoner argued that there had been a qualitative change in humanity’s relationship with nature in the years following World War II … and explained why it happened and what it means for our future. The Anthropocene epoch requires us to rage against the few anthropods who are making a killing off of the extraction and burning of fossil fuels at the expense of the human race. In Mexico and Brazil, the capitalist elite discusses how to continue exploiting humans and the natural world in the service of profit, while cloaking their intentions in the benign language of growth, development and sustainability.